Your home is where your heart is, so it’s worth the effort to find the perfect house for you and your unique lifestyle. 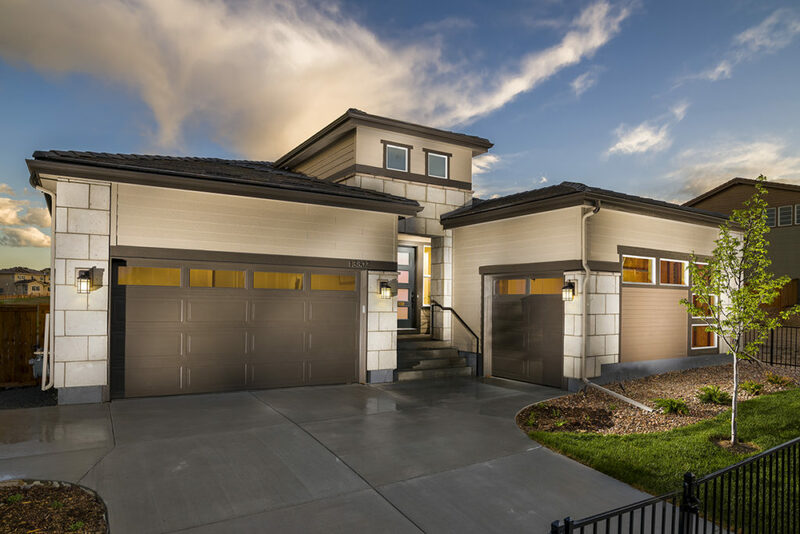 That’s why you should include Shea Homes Colorado in your quest for your dream home so you can see for yourself how you can “Live the Difference.” Residents of the Stepping Stone community are already familiar with Shea Homes and how they create the perfect fit for families. One of the more popular floor plans at Stepping Stone is The Marigold. This spacious design features 2,568 feet of amazing living space, including a study, a large laundry room, a fantastic kitchen with large island, a walk-in pantry, a double oven, and a cozy nook that opens to the spacious great room – which can be outfitted with two choices of fireplaces. 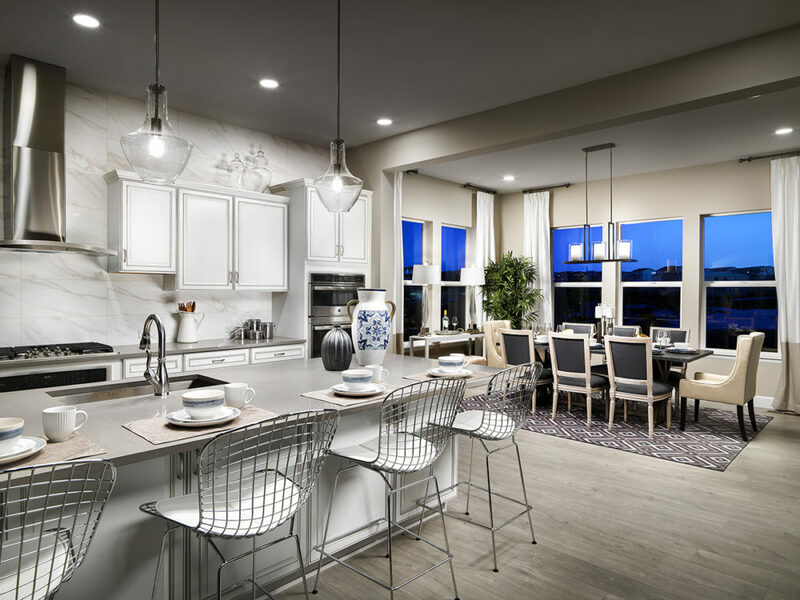 Depending on the size of your family (or how much space you crave), you can personalize your own floorplan to include anywhere from 2-5 bedrooms and up to 4.5 baths. That’s a lot of elbow room! You’ll appreciate the two-bay garage and additional one-bay side-load garage, which is ideal for storing all that outdoor equipment. It’s also a good place to store bikes, which you’ll want so you can explore some of the biking paths and trails around Stepping Stone. 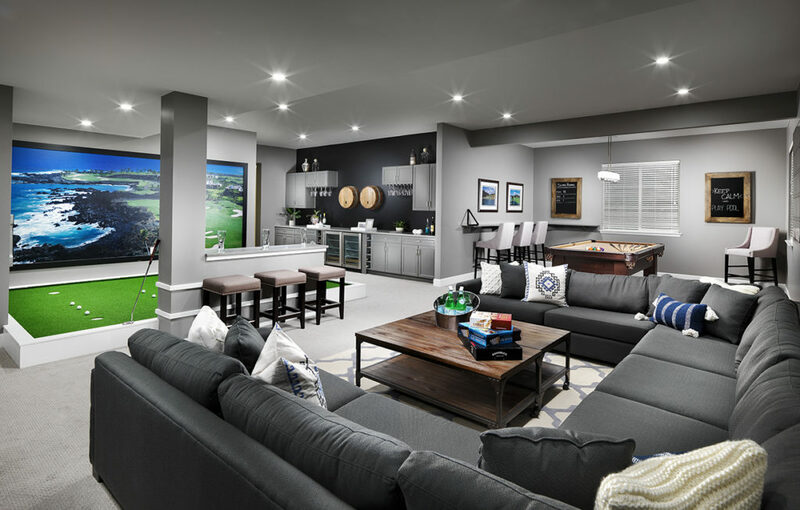 Some weekends were meant for Netflix, video games, and TV sports, so if you’re looking for the ideal home theater space, the downstairs basement can be partially- or fully-finished to include a recreation/media room with an optional wet bar. In addition, up to two bedrooms can be added in the basement. 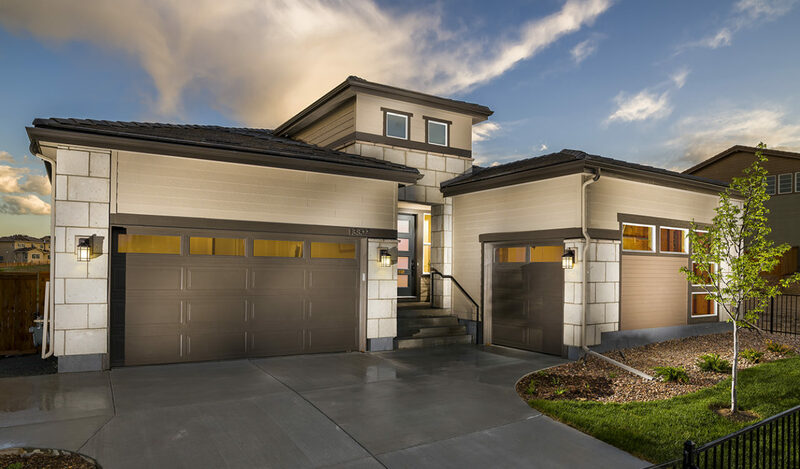 The Marigold also features a covered back patio to help you enjoy the wonderful Colorado weather. It’s the perfect space for entertaining – so start looking for that ultimate BBQ grill and the ultimate chef hat! We encourage you to learn more about The Marigold and other Shea designs here at Stepping Stone. 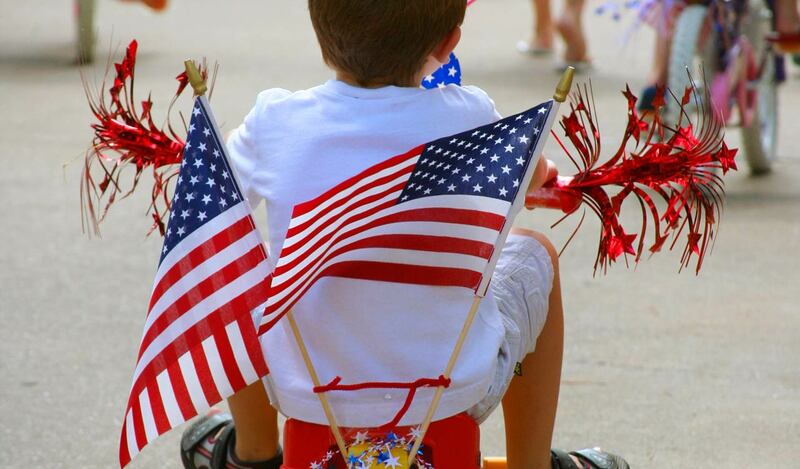 Shea Homes are specifically created to fit your personality, your lifestyle, and your budget, and we hope that you find your dream dwelling here in our gorgeous community!